Wow there is nothing quite like listening to something that is instantly loveable, but not just that but more like completely coursing through veins from the first few seconds, literally merging with your blood cells and sailing the capillary network to your heart with all the calories and cholesterol and electric energy of it all. 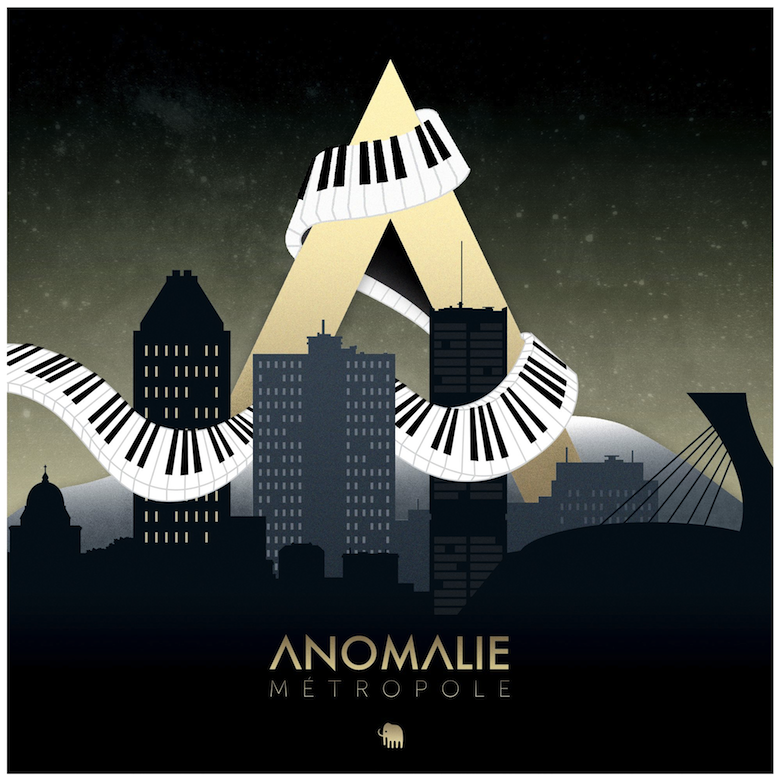 That is 'New Space' by Montreal-based keyboardist and producer Anomalie. Citing everything from J Dilla and George Gershwin to Daft Punk and Skrillex, as well as his classical background and jazz study, the musicmaker explains the track and the EP its taken from: "basically a melting pot of all my major influences while featuring the keyboard as the centrepiece." And as the central tenet of this track the virtuoso keyboard canters gloriously throughout, displaying effortless glassy lounge chords that tremolo blissful while underpinned with fuzzy texture basslines, a whirl of bold colour set to a lush crackling raw organic beat that shuffles with hip-hop breeziness and bright metallic zing. Keys drip-drop with pliant cuteness, flowerbuds popping open with cartoon vigour, so easy so easy Anomalie creates this ultimate VGM-leaning instrumental odyssey, a tantalising teeter between lounge horizontality and the hyperactive funk dynamism of jazz, the composition jumping jostling atmospheres, stable instability bursting at the seams. 🔔 This comes from Anomalie's debut Métropole EP, out now on Lowtemp Music. You can buy it digitally over on Bandcamp for CAD$3.99.